The closing ceremony of the digital training courses for seniors took place this Thursday, December 13th. The amphitheatre of the F. Ozanam High School in Châlons en Champagne hosted the ceremony. These trainings were at the origin of the Catalaunes Digital project, resulting from the Digital Senior College and coordinated by Trialog. This event was an opportunity to undertake a review of the project. A total of 91 seniors received 10 training sessions on mobile digital tools during one year. 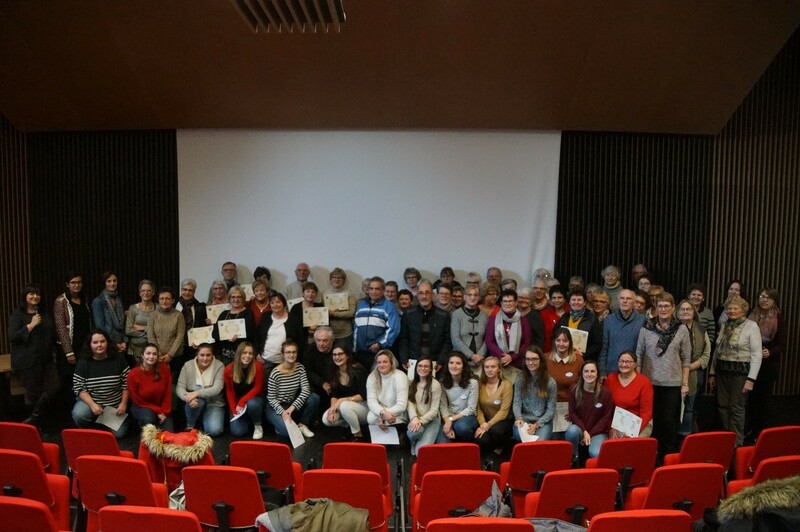 The sessions were led by students from the IUT and the F. Ozanam high school in Châlons en Champagne. Many seniors attended the event organized by Trialog. Besides they were surrounded by the students who trained them and their teachers so that everyone could share their experiences. The project turned out to be a beautiful human adventure: young people are rarely in a position to teach their elders! As a conclusion to the ceremony, the students have delivered to each trained senior a participation certificate. In the introduction, Bruno Bourg-Broc (President of Châlons agglo) and Denis Gaudin (Secretary General of the Prefecture of the Marne) recalled the context in which this project was launched. It was after the closure of the military barracks, the starting point for the creation of the CRSD mission (Contract for the Revitalization of the Defence Site), that the development of the Silver Economy became a priority axis. It is in this favourable context that Trialog has actively participated in the development of the territory’s Silver Economy sector. Thus the first concrete realization of the project is the creation of the association PQ&Rc (People, Neighbourhoods, and Connected Ruralities). 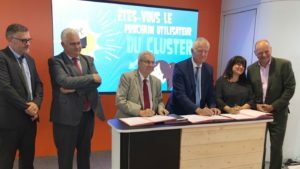 The signing of the association’s statutes took place on the Châlons agglo stand during the Châlons fair in September 2018. It were signed by the founding members of the association: Châlons agglo, the gerontopôle, La Poste, Trialog, and Solinnov. To bring out ICT projects (which must be an accompaniment to the human being) from the Silver Economy. Thus the first exchanges of the “People, Neighbourhoods and Connected Rural Areas” cluster created a real dynamic. In such way that this allowed to put several projects “in the pipeline”, of which we will talk to you very soon.